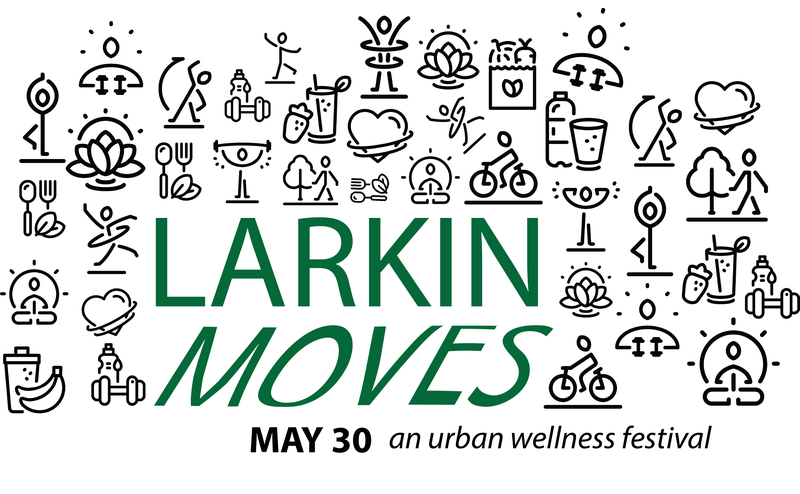 Larkin Square presents Larkin Moves – an urban wellness festival happening morning, noon and night on Wednesday, May 30! We’re thrilled to bring together movers & shakers in the local fitness community and offer a day of workouts and fun. Events and classes all day are FREE thanks to Larkin Square’s presenting sponsor KeyBank and sponsor Independent Health. Ready for this packed schedule?! The day begins with November Project – a free workout starting at 6:10am in Larkin Square. Traditionally located at Delaware Park every Wednesday, November Project will be moving their workout to Larkinville for this special event. From 12:00pm – 1:00pm, you can enjoy a free yoga class with Kelly Tripp on the Larkin Square boardwalk (BYOM!). At 4:30pm, the wellness festival will kick into high gear! The square will feature a small vendor market, food trucks, beverages, a lululemon lounge and lawn games. The final free fitness class of the day begins at 5:30pm with Fitness in the Parks instructors from the YMCA, plus teachers from Revolution Buffalo and a sunset yoga session with Love in Motion Yoga. After class, relax and have fun in the square with the Gay 5K after party! One of the most popular Pride Week events, the Gay 5K presented by Evergreen Health & the Pride Center of WNY will be happening in Larkinville on May 30. The race is open to everyone and participants are encouraged to don their gay apparel, with rainbows, drag and more! Not participating in the race? No problem! Everyone is invited to the race after party in Larkin Square at 7:30pm. Join us for one, two or all of the events happening during Larkin Moves! 4:30pm: Vendor market opens in Larkin Square with food trucks, beverages, lawn games and more! 7:30pm: Gay 5K after party in Larkin Square – Enjoy music, dancing, drag queens and more. Everyone is invited! Check out the lots along Seneca Street and Exchange Street for free parking! Click here for more info on parking & directions to Larkin Square.